1. Re-entry into my everyday after being away is harsh. 2. The sun glows low. 3. We walk the shore alone and smell the waves. 4. My everyday life is full of kinks. 5. The terns dance within the foam. 6. Strong black coffee steams. 7. Luther Vandross ‘Searching’ on the radio. 8. Emails plying up as is the washing. 9. Box set bingeing late into the night. 10. Not ready to start it all again tomorrow. Deep within the still centre of my being may I find peace. Silent,y within the quiet of the Grove may we share peace. Gently within the greater circle of humankind may we radiate peace. A nation divided. At the point of civil war. A heathen Priest, who everyone trusted and respected who was called upon to decide. After hours of meditation, he proclaimed that we should believe in one God, Father, Son and Holy Spirit. And we should to keep our pagan sacrifices and the eating of horseflesh private. It was agreed. People were baptised and the Priest throw his statues of the Norse gods into the waterfall, now know as Godafoss. During my hiatus from social media, I’ve been enjoying some much needed ‘me-time’. ‘Me-time’ consists of long soaks in the bath, walks along the sea shore, cooking family meals, dreaming on paper as well as reading novels. I know I need to find a way to have a much healthier relationship with these means of contact with the outside world, but as of yet I haven’t found a viable solution except from turning them off for weeks at a time. It’s not an ideal situation, as I do miss the connection, contact and opportunities they present but I’m prepared to take this hit if it means I turn them off in order to hear my own voice again. I do find social media very noisy at times and distracting. As well as enriching and inspiring. Still a work in progress I think; my relationship with the beast. 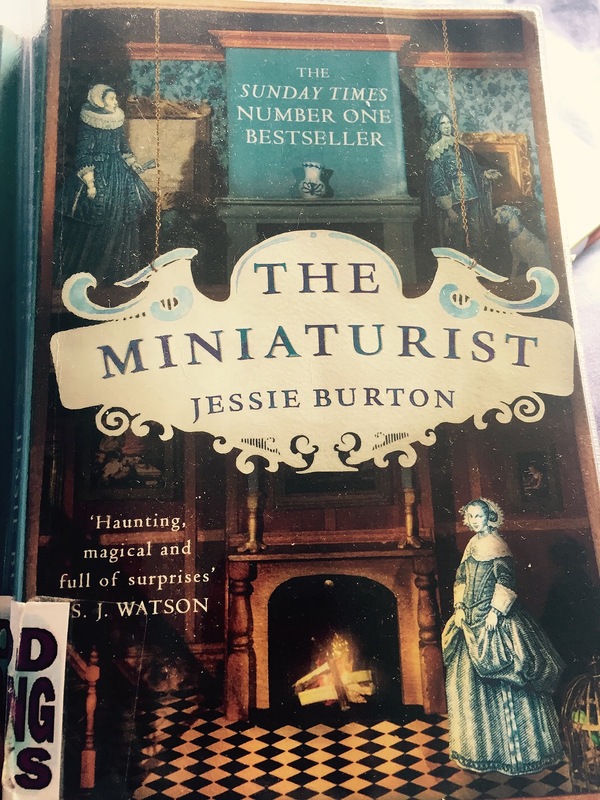 But one book that I’ve been engrossed in for the last couple of days is The Miniaturist by Jessie Burton. I’ve has my eye on this debut novel for a few months now, but haven’t managed to read it until now. And it’s such a good read. It’s historical fiction and very poetic in it’s descriptions of people and places. Based in Amsterdam in 1687, it follows the progress of one family as they thrive through the trade routes opened up for merchant explorers. A new bride receives a cabinet sized replica of her new home as a wedding gift. Upset at first, she soon becomes involved in decorating this house through a mysterious miniaturist. This book weaves a magical spell as I’m drawn into this family’s world were secrets and lies are the currency of exchange as money and sugar takes a backseat. If you can, read it, take a break from social media if you have to in order to do so. It’s well worth it! I picked up this new magazine by chance. Not sure what I was looking for. Maybe I was looking to ‘breathe’, to gain some space in my day, in my life. I’ve sworn off all those glossy women’s magazines, those that carry the images of perfection; white skinny beautiful women. The money I must have spent on them, trying to fit the ideal, and knowing fine well that I’d never would. But that didn’t stop me buying into the construction. It didn’t seem to bother me that I never saw women in there that looked like me. Or did it? As I also went through a phase of buying Pride Magazine, Oprah, Ebony to see black women in magazines. But they still didn’t look like me, as they were still skinny, well styled and looked like they had their lives all together, nice and sweet. I suppose when I buy magazines now, like this one, I am still trying to find myself, to better myself, but from the inside out. 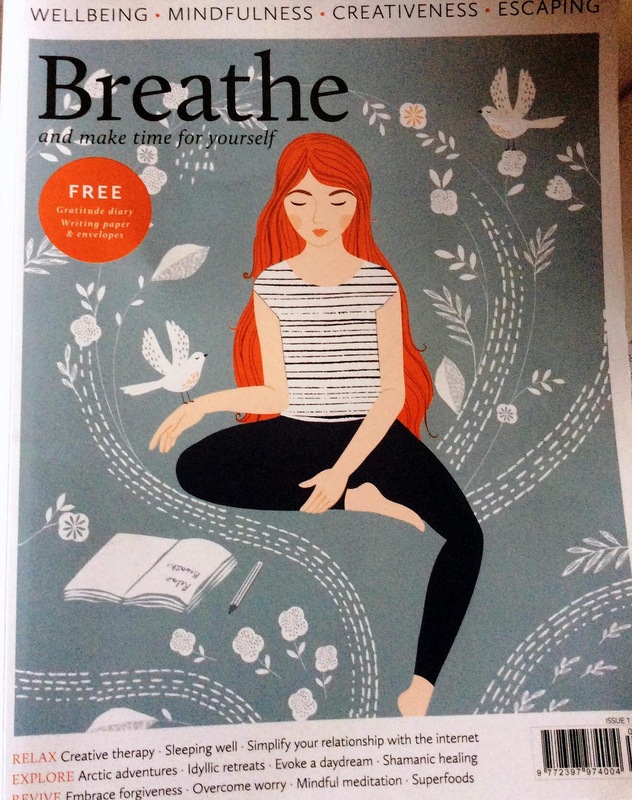 I am working on my soul, my spirit, my true self when I pick up a magazine like Breathe because I am looking to take care of myself by taking the time to slow down, to try yoga ( again), to start back up with my gratitude journal etc. Magazines like this make me think, make me assess what I am doing in terms of self-care, self-love and how am I working within this world to make it a better place? I would highly recommend this magazine if you are looking to make time for yourself, for your true self. It was a full moon last night. A beautiful sight in a clear dark sky. I’ve taken to paying more attention to the moon’s rhythms recently. Starting to believe in Her wisdom as well as becoming connected to her as a woman. For example, the phrases of the moon are matched each month by a woman’s bodily functions. 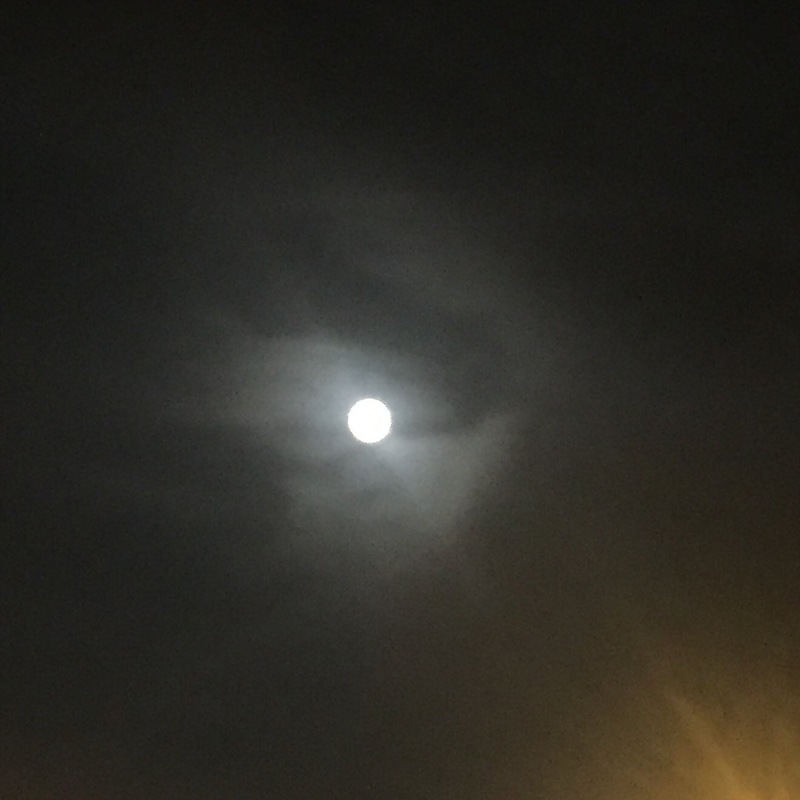 Just as the moon is full, my womb waxes full and then wanes, empties with each menstrual bleed, just as the moon wanes to nothing, to the dark moon, when She is no longer visible. Before, I never really knew anything about a woman’s natural connection to the moon. There’s energy and power to be enjoyed if we as woman chose to use Her light as a indicator of when to be in action and when to be still. 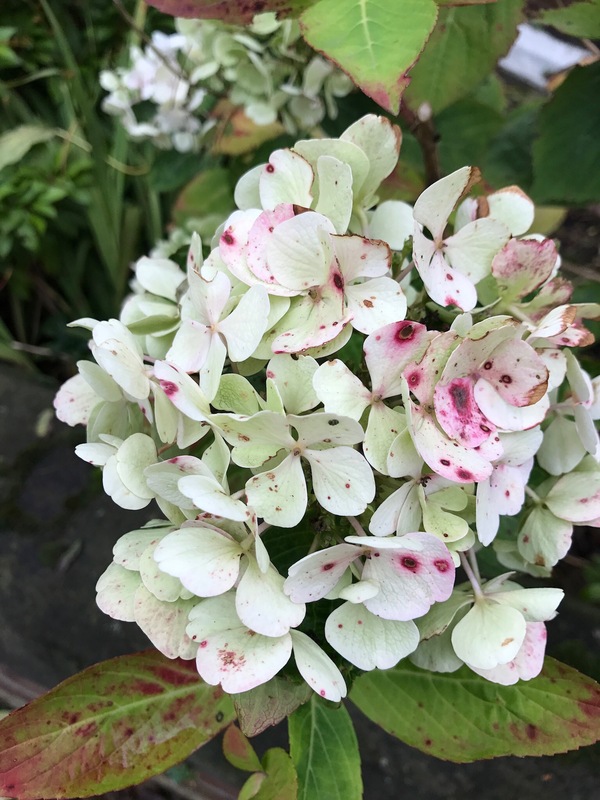 When to gather and when to release. Once we align ourselves with Her natural energy and movements, things could start to flow much more easily within our individual lives. So I’m finding out through my recent readings, and I look forward to learning more about lunar wisdom, lunar phases as well as lunar rituals and becoming more in touch with my own natural rhythms.